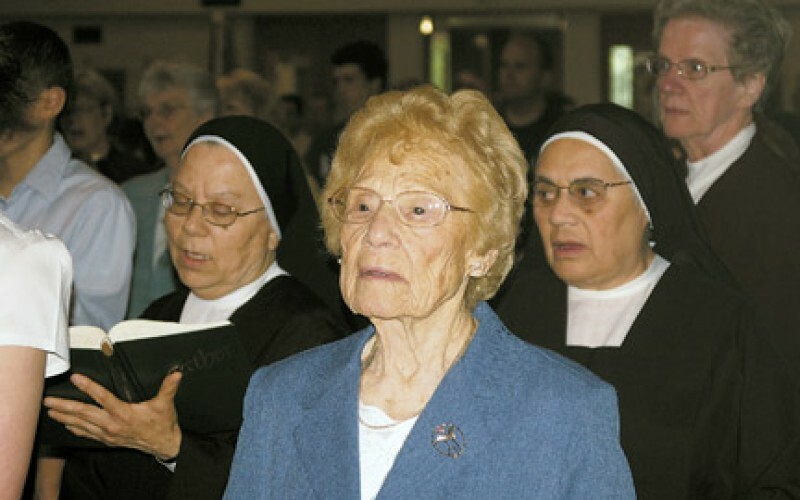 Sue Alacqua, 98, is the oldest parishioner at St. Bridget Parish, Glassboro. 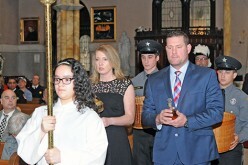 During the opening procession of the parish’s 125th anniversary Mass on Sunday, April 22, she carried the statue of St. Bridget into the church. 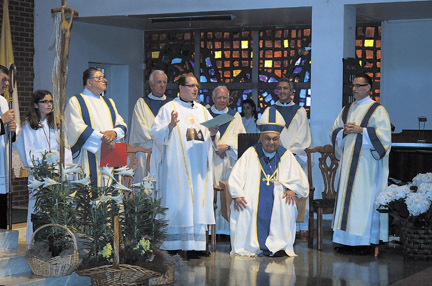 Right: Bishop Galante celebrates presides at the Mass with, from left, Msgr. John Clarke, former pastor at St. Bridget; Father Matthew Weber, current pastor; Msgr. James Tracy, former pastor; Father Fabio Fernandez, parochial vicar; and Deacon Samuel Soto. Acknowledging the community’s rich history and diversity, Bishop Joseph A. Galante helped celebrate the 125th anniversary of St. Bridget Parish in Glassboro with a multicultural Mass on Sunday, April 22. 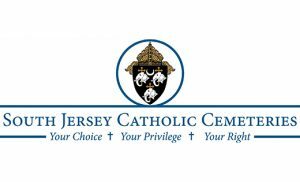 Presently St. Bridget Parish has a three fold mission: it serves Glassboro area parishioners, it is the Catholic center for the Hispanic community of central Gloucester County and it also serves the students, faculty and staff of Rowan University. The current pastor is Father Matthew Weber. 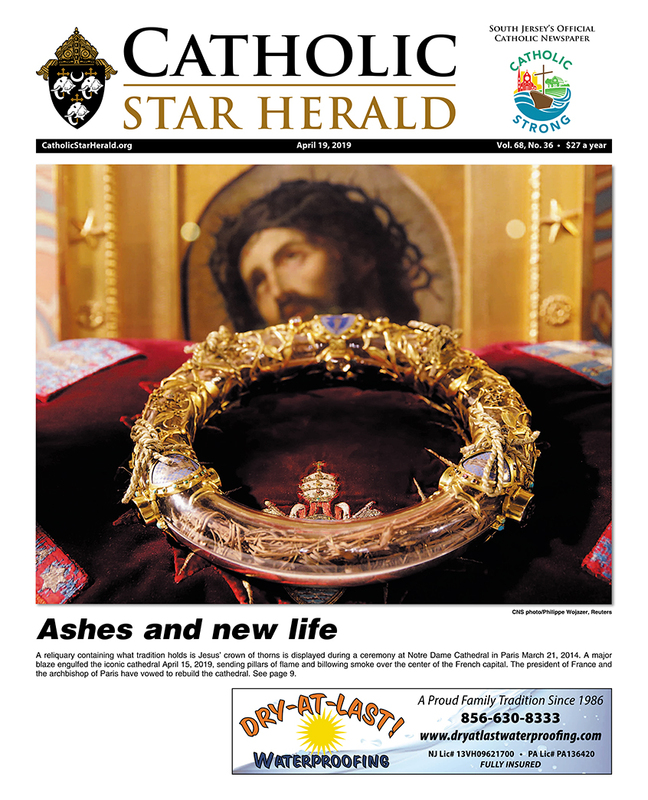 In view of its expansive mission, the parish has a large staff. 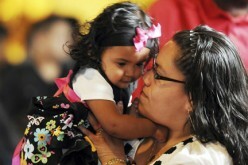 Deacon Sam Soto was assigned to St. Bridget in 2010 mainly to assist with the Spanish Ministry. Father Phillip Johnson was appointed as chaplain of Catholic Campus Ministry, and he is assisted by Deacon Kevin Heil. Other clergy serving the parish are Father Fabio Fernandez, parochial vicar, and Deacon Joseph Loungo. In addition, Ann Polo serves as director of the Catholic Campus Ministry at Rowan University, and Sister Janice Novak is religious education coordinator. St. Bridget began as a mission of St. Mary Parish, Gloucester, in 1868, with 20 families. Parish enrollment swelled to 200 by 1887, the year St. Bridget became an official parish. During the latter half of the 19th century, the parish continued to attract new members, among them German and Polish, but principally Irish and Italian. By World War I, it had doubled its congregation to 400 members, all of whom worked principally as farmers. 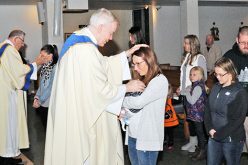 The current parish enrollment is 820 registered families. 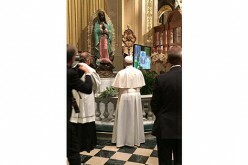 The April 22 anniversary liturgy was followed by a dinner party at Masso’s Crystal Manor.